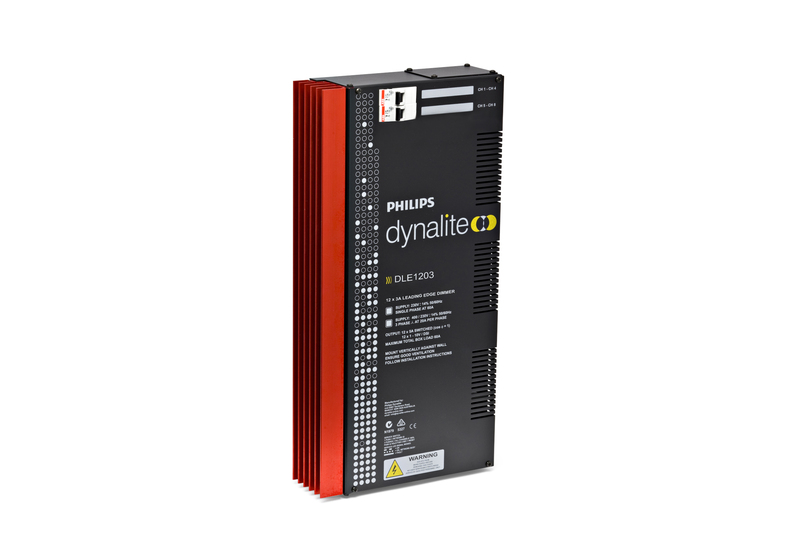 The Philips Dynalite DLE220 is a two channel leading edge dimmer controller, with a maximum load of 20 A per channel. It is suitable for use with incandescent, neon and selected fluorescent light sources, as well as iron core and leading edge dimmable electronic transformers. 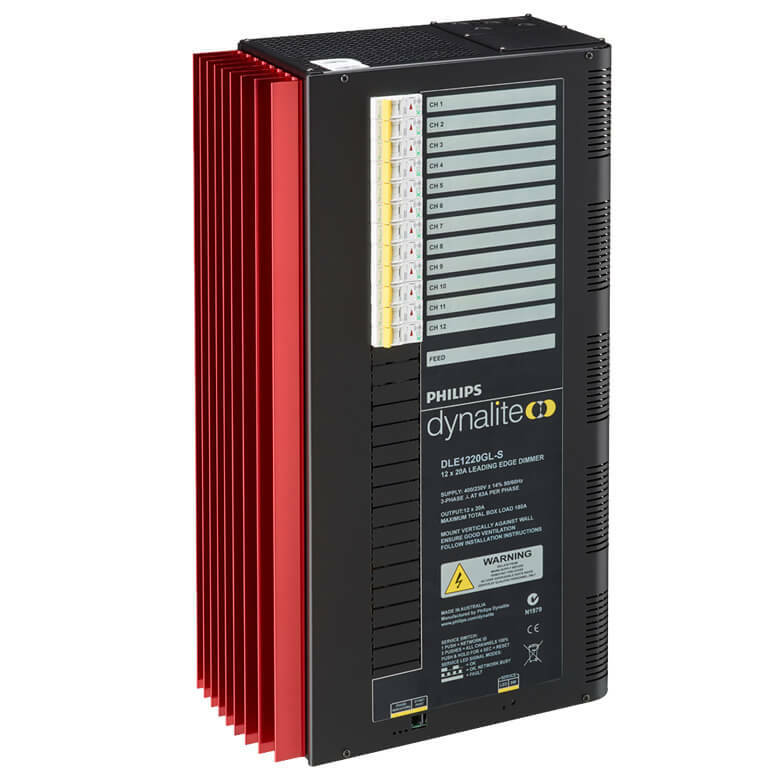 The DLE410 is a four channel leading edge dimmer controller, with a maximum load per channel of 10 A. It is suitable for use with incandescent, neon and selected fluorescent light sources, as well as iron core and leading edge electronic transformers. 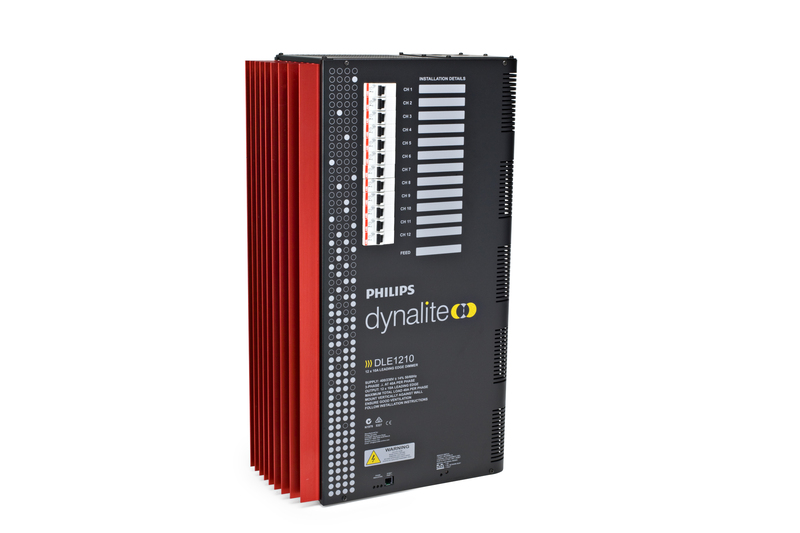 The Philips Dynalite DLE1203 is a 12 channel leading edge dimmer controller, with a maximum load of 3 A per channel and a total device load of 32 A. It is suitable for use with incandescent, neon and selected fluorescent lighting, as well as iron core and leading edge electronic transformers. 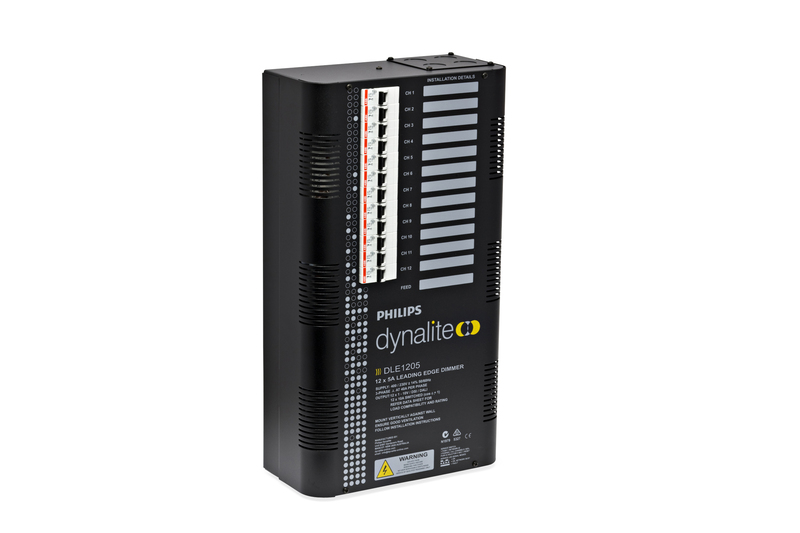 The Philips Dynalite DLE1205 is a 12 channel leading edge dimmer controller with a maximum load per channel of 5 A. It is suitable for use with incandescent and neon light sources, as well as iron core and leading edge electronic transformers. The Philips Dynalite DLE1210GL is a 12 channel leading edge dimmer controller, with a maximum load per channel of 10 A and total device load of 75 A. It is suitable for use with incandescent, neon and selected fluorescent light sources, as well as iron core and leading edge dimmable electronic transformers. 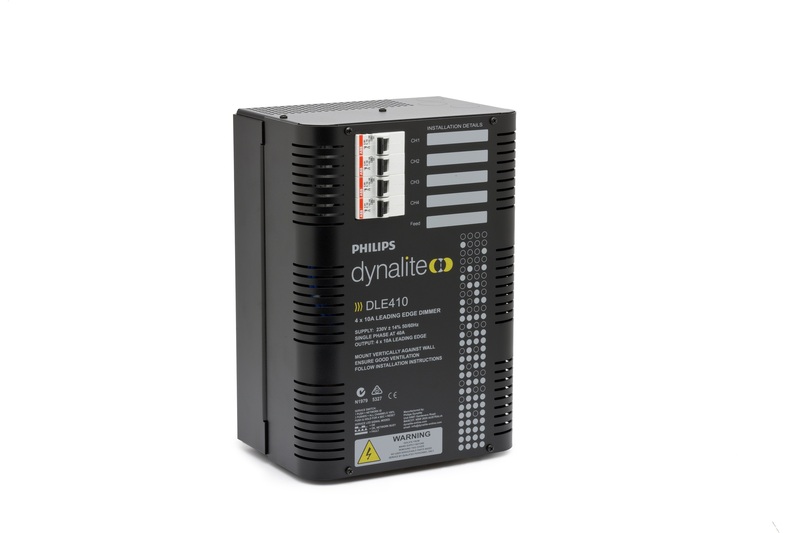 The Philips Dynalite DLE1220GL is a 12 channel leading edge dimmer controller, with a maximum load per channel of 20 A and total device load of 180 A. It is suitable for use with incandescent, neon and selected fluorescent light sources, as well as iron core and leading edge dimmable electronic transformers. 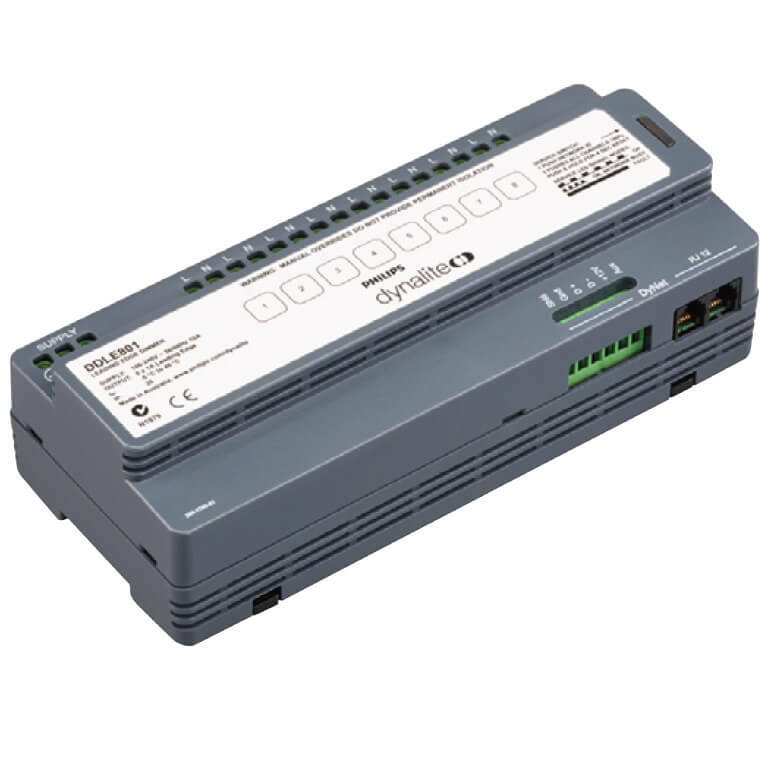 The DLE1220GL-S-RCBO (with RCD Protection) is a 12 channel leading edge dimmer controller, with a maximum load per channel of 20A and total device load of 180A. It is suitable for use with incandescent, neon and selected fluorescent light sources, as well as iron core and leading edge dimmable electronic transformers. 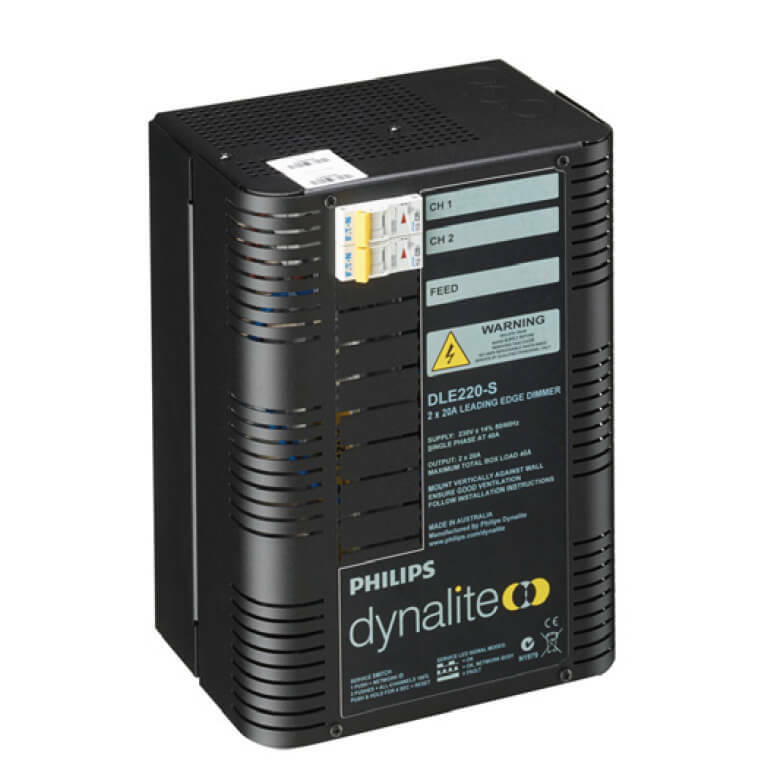 The Philips Dynalite DDLE801 supports eight channels of leading edge dimming at 1 A per channel. It is suitable for use with incandescent lighting, as well as leading edge compatible magnetic and electronic transformers. Advanced LED dimming technology makes the unit particularly suited to residential, retail and hospitality applications. 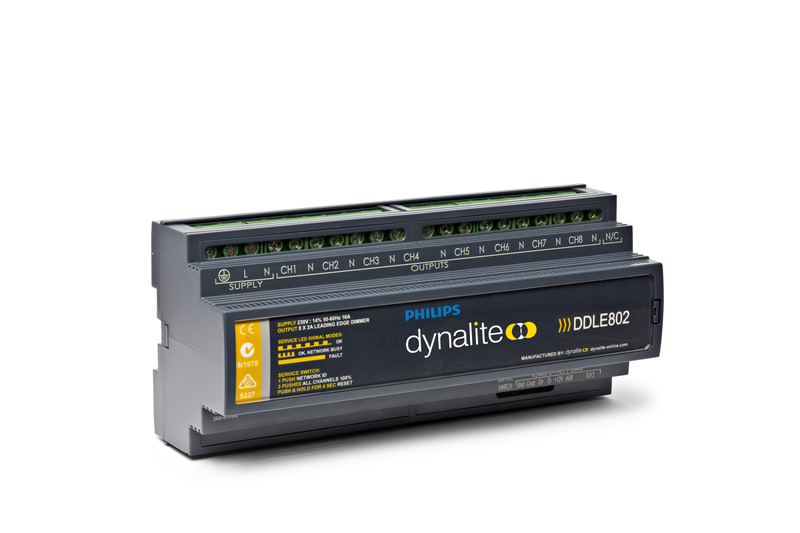 The Philips Dynalite DDLE802 is an eight channel leading edge dimmer controller with a maximum load per channel of 2 A. It is suitable for use with incandescent, low voltage, neon and selected fluorescent fixtures.